The Asbury Park Press reports that Ali Muhammad Brown -- who has also said that he killed three other people in Seattle -- entered a guilty plea Friday to first-degree robbery and a weapons charge in the June 2014 robbery in Point Pleasant Beach. A man prosecutors said was on a "jihad" to avenge U.S. policy in the Middle East pleaded guilty Tuesday to killing a college student in New Jersey and admitted killing three more people in Washington state. Gus Rosendale reports. A man who said he was on a "jihad'' to avenge U.S. policy in the Middle East has pleaded guilty to a gunpoint robbery outside a coffee shop four days after killing a college student in New Jersey in 2014. 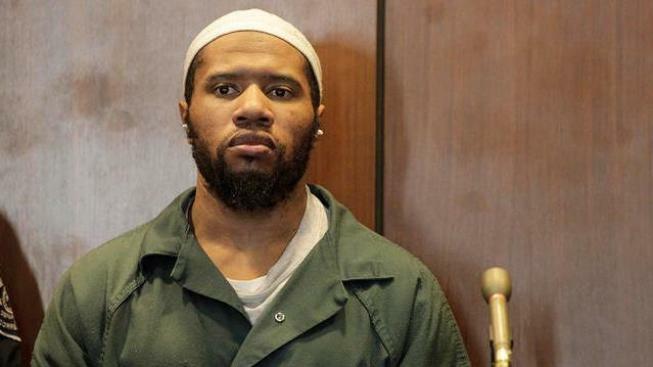 Brown earlier pleaded guilty to shooting 19-year-old Brendan Tevlin as the victim sat at a traffic light in West Orange, a few miles from Newark. He's currently serving a 35-year term for a West Orange robbery and has yet to plead in the Washington state cases.